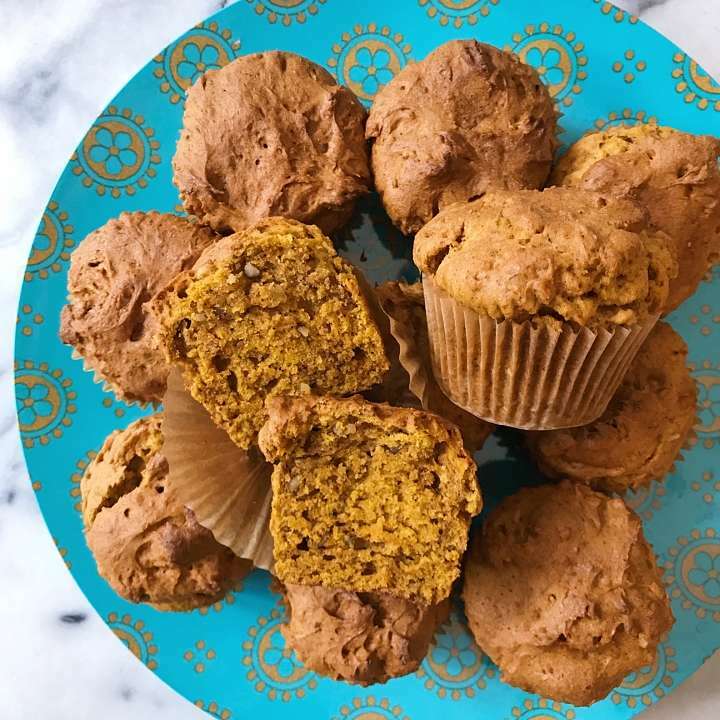 Baked my family's favorite pumpkin bread as muffins and we love it even more! For whatever reason, we’ve been in muffin phase recently so I’ve been baking pumpkin bread as muffins! Based on a family recipe adapted to be gluten-free, it’s the perfect classic pumpkin muffin recipe. The muffins are moist, have a great consistency and just the right flavor- not too sweet, not overly spiced. And they are so yummy! We literally can’t get enough of them! Super easy recipe is also versatile… doubles well, muffins freeze well and you could add in chocolate chips, raisins or any any other add in you like! Bonus… the house smells amazing when you bake it! A perfect classic pumpkin muffin recipe. The muffins are moist, have a great consistency and just the right flavor- not too sweet, not overly spiced. Recipe doubles well, muffins freeze well and you can make with or without nuts, raisins or chocolate chips. Preheat oven to 350 and line 12 muffin tins with baking cups. In a separate bowl combine flour, baking soda, salt, baking powder, cinnamon and cloves with a pastry cutter or fork. Bake 30-35 minutes or until wooden pick inserted into center comes out clean. TIP: check muffins at 30 minutes and lightly cover with foil if you feel the tops are cooking too much. If you cover with foil, leave in an extra 10 minutes to make sure center cooks well.